It’s flipping amazing! 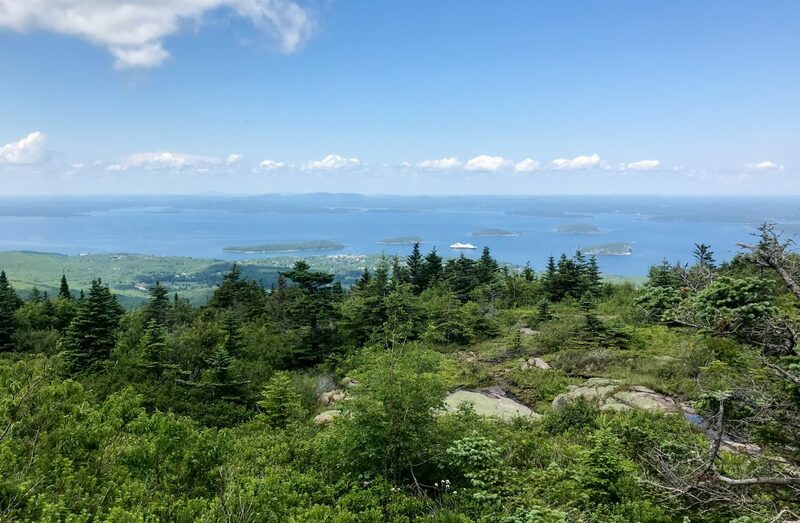 While Acadia National Park only encompasses 49,000 acres of the Atlantic coastline in Maine (comparatively Yellowstone is 2.24 mil acres), making it the 13th smallest National Park by size, it contains almost 150 miles of trails, 45 miles of carriage roads (perfect for biking), 7 peaks above 1000 ft (small potatoes compared to Colorado but tall for the east coast), and is the most dog-friendly National Park we’ve visited. 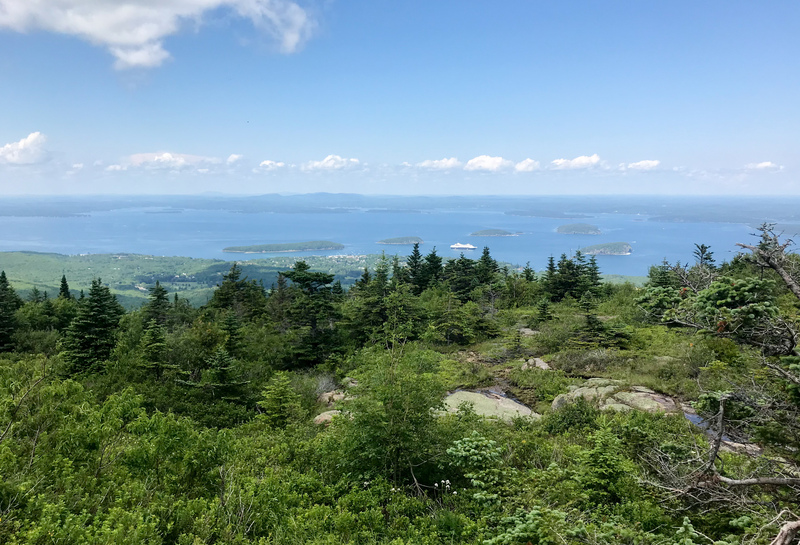 With so much information about Acadia, I’m going to chronicle our Acadia hikes on a separate blog post. I’m guilty of rambling a lot so why not ramble in two posts instead of just one? 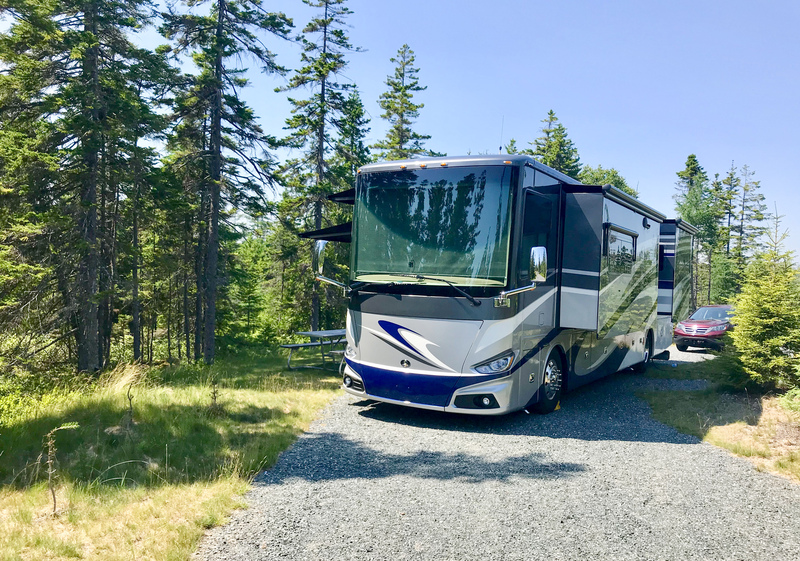 Many of our RVing friends stayed at Acadia for multiple weeks and said they could easily stay for longer and I would agree with them. We stayed for 9 days on the MDI side (popular side) and 7 days on the Schoodic Penninsula (quiet side) and still barely scratched the surface of things to do. Acadia spans 3 different land masses: Mount Desert Island (MDI), the largest area of Acadia which also includes the bustling town of Bar Harbor; Schoodic Penninsula, which includes the Schoodic Research Center; and Isle au Haut, a small island off the coast of Maine only accessible by ferry. For our MDI stay, we camped at Smuggler’s Den Campground in Southwest Harbor around 30 minutes from Acadia’s Visitor Center. We loved it here even though it’s a little further from the main entrance. Smuggler’s Den snuggles right behind part of Acadia, making it easy to hit a few of the hikes straight from the campground, plus there are multiple other hikes within a quick 10-min car drive. 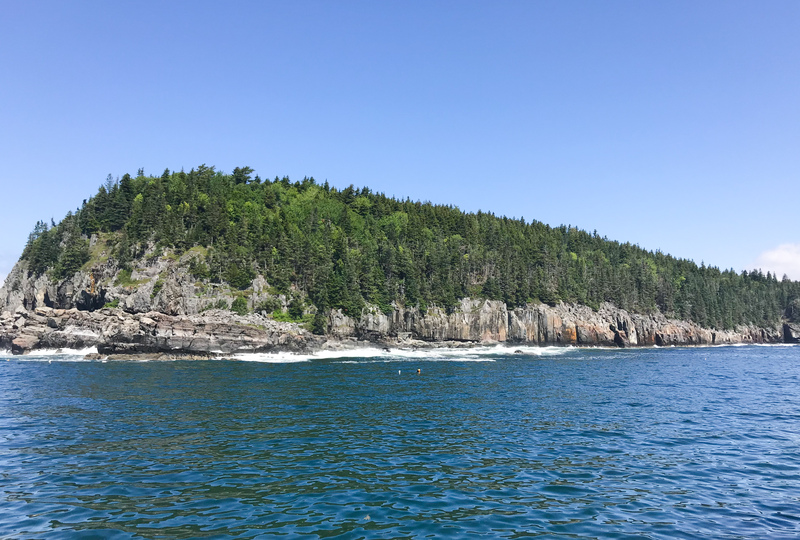 Additionally, the extensive and free Island Explorer bus will pick up directly from the campground and shuttle folks to Bar Harbor and the visitor center, and it’s dog-friendly. 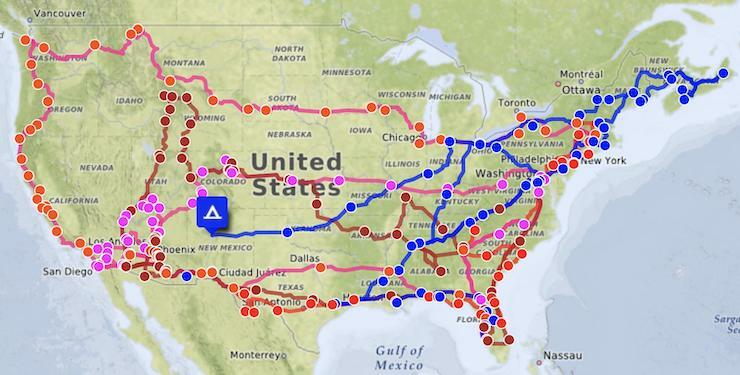 About 12 years ago, my parents went on a 3-month cross country trip in their minivan and loved visiting the many National Parks along their route. 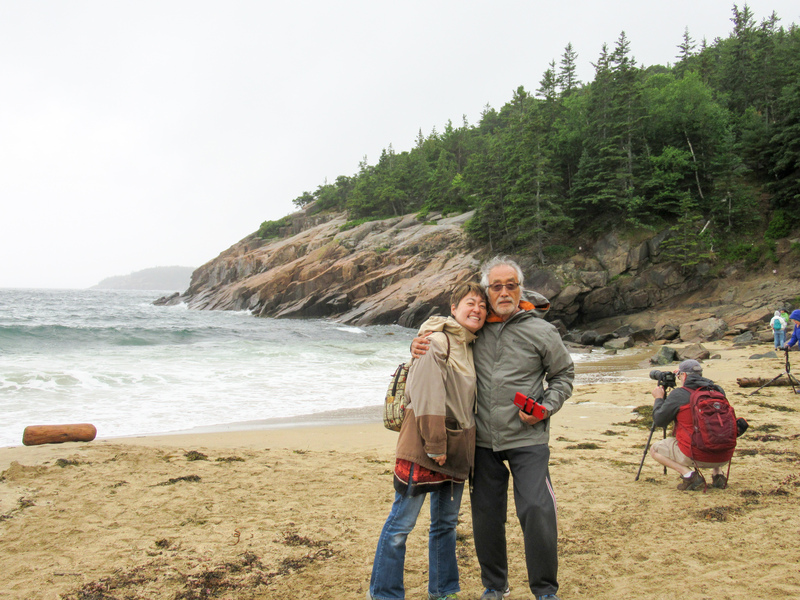 They were unable to make it to Acadia during that trip so they came to visit for a few days to explore the park with us. We spent one day driving the 27-mile park loop road stopping at the various points of interest and overlooks. We enjoyed the rocky coastlines and mountain views from Sand Beach (no dogs allowed during peak season but people are always welcome to sun and swim here); visited Thunder Hole, best during high tide to see the water crashing into the small inlet; Otter Cliff; and the summit of Cadillac Mountain. We skipped Jordan Pond due to heavy rain so we missed out on the famous Jordan Pond House popovers. When driving the park loop road, I highly suggest starting early in the morning since parking becomes a challenge and a road rage experiment by late morning/early afternoon. Since the Island Explorer bus stops at all points around the loop (except for Cadillac Mountain), it’s a more serene solution than fighting for parking spots. 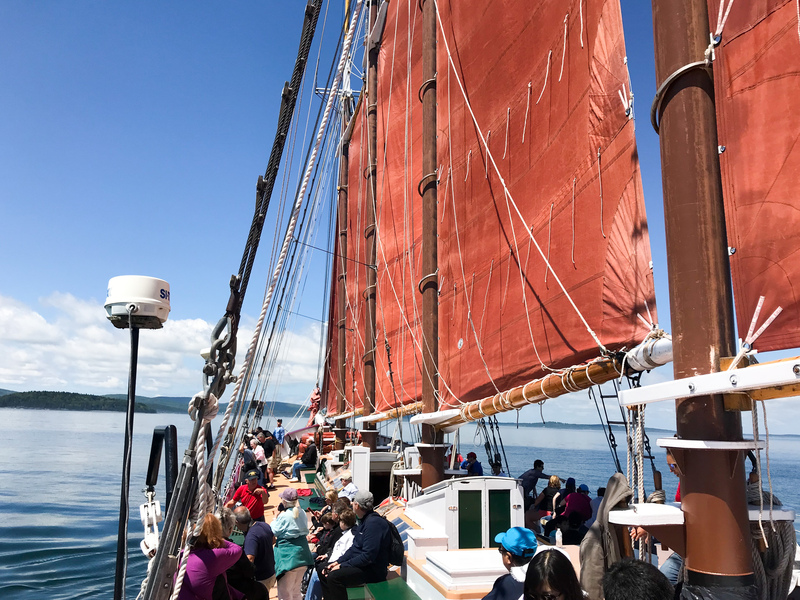 We also took a nice morning sailing trip on the Windjammer schooner, Margaret Todd, around Frenchman Bay with gorgeous views of Cadillac Mountain, Dorr Mountain, and the various Porcupine Islands. 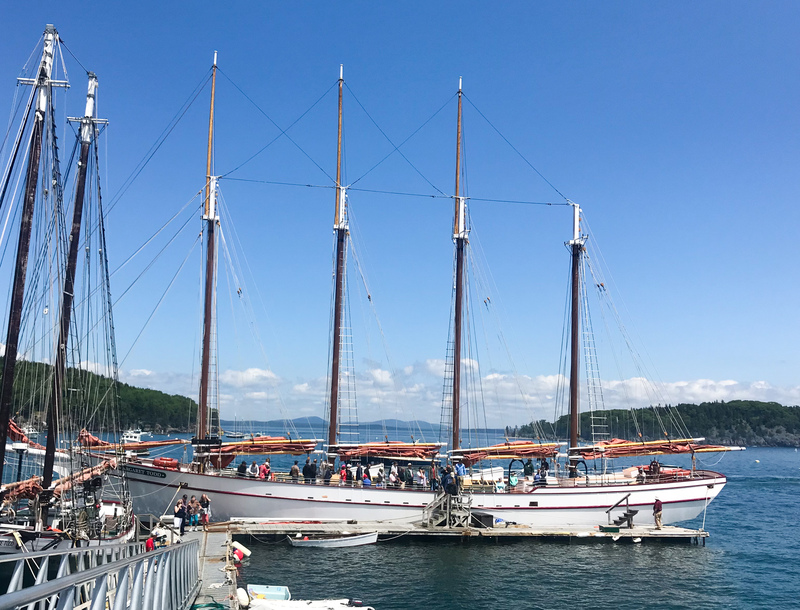 The thick morning fog burned away quickly and the schooner was able to raise its sails (with help from the passengers) to meander around the bay. It is Maine, which means be merry and eat lobster. A friend recommended Thurston’s in Southwest Harbor and it did not disappoint. They serve top-notch fresh lobster by the pound and it’s quite delicious. Mike stuck with the burger but the rest of us enjoyed lobster and mussels for lunch. If you’re staying in Southwest Harbor, this is definitely a place to try although it does get crowded. They allow dogs on their patio seating and the restaurant has nice views of the harbor and the various lobster boats. We also ate at Testa’s in Bar Harbor where the food was good but a little pricey (not surprising since it was Bar Harbor) and enjoyed multiple ice creams at Ben & Bill’s Chocolate Emporium. The ice cream is also pricey but delicious. They sell lobster ice cream but as interesting as it sounded, I just couldn’t do it. I prefer my lobster and ice cream as separate entities. Parking is a challenge in Bar Harbor. There are 2- and 3- hour limit parking areas and unlimited parking on some side streets but they all fill quickly. If you drive into the town, try to get there before 10am to find parking. Otherwise, at the risk of sounding redundant, it’s best to take the Island Explorer bus from either the Acadia Visitor Center or your campground (if the bus is available there). 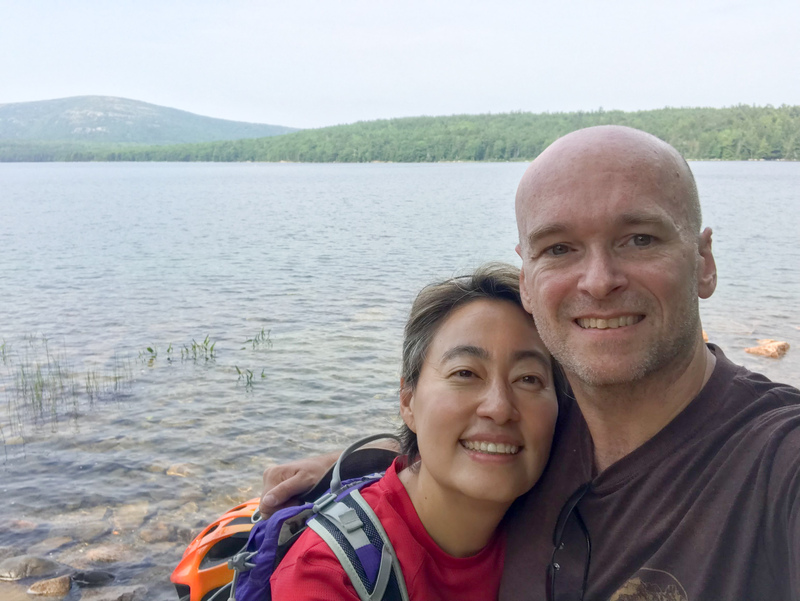 After my parents’ visit, we still had a few more days on MDI so we made the most of it with hiking and biking around Eagle Lake. 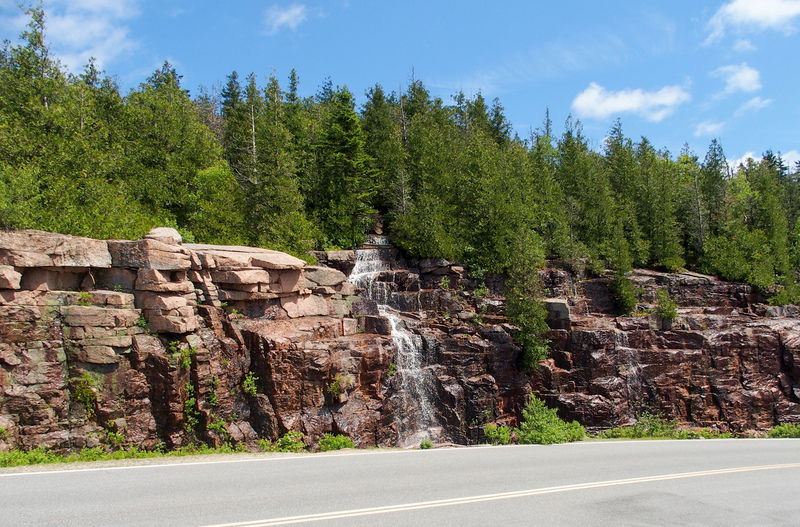 Acadia boasts more than 45 miles of carriage roads in and around Acadia which are open to bikers, hikers/dogs, and horse-drawn carriages. Motor vehicles are not allowed, including electric bikes. In the early 1900s, John D. Rockefeller Jr financed and directed the building of the carriage roads which would allow non-motorized vehicles to navigate the island and these roads are still maintained by the park today. The roads are crushed gravel and wind around the lakes, ponds, and forests. 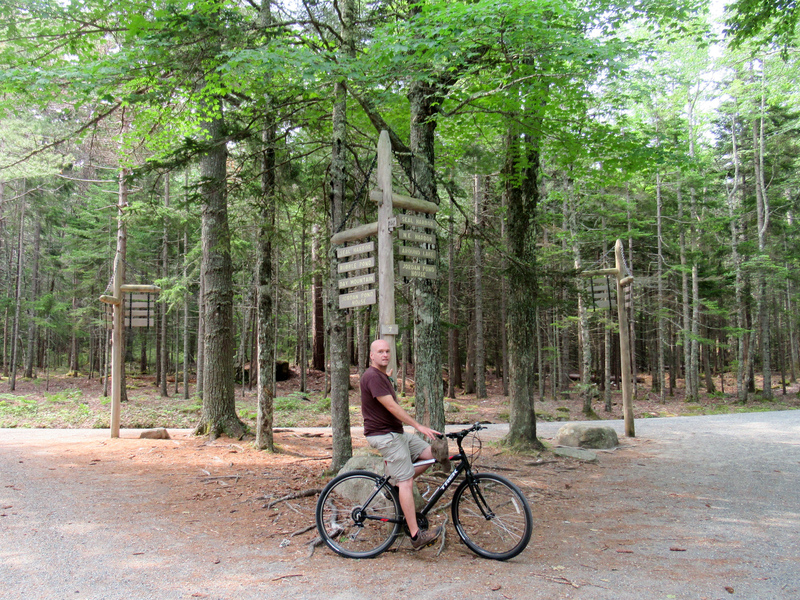 We decided to explore the carriage roads by renting bikes at the Bar Harbor Bike Shop for the day. You can call/email 48-hours in advance to reserves bikes but they also save the majority of their fleet for walk-in customers. We showed up in the morning and were able to snag the last small size bike (for me) and a large for Mike, as they were already out of medium bikes by 10am. 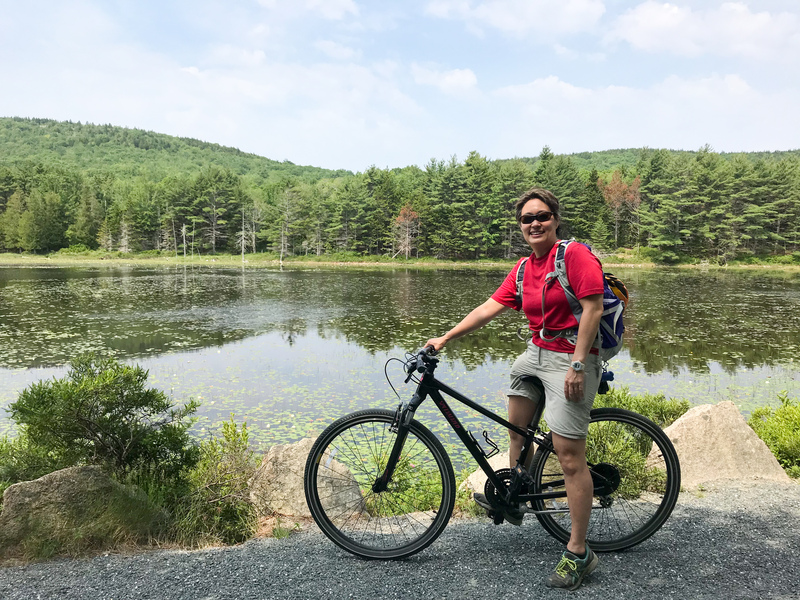 There is a Bike Express bus that will shuttle bikers from the Village Green in Bar Harbor to the entrance at Eagle Lake but there is also the option to bike from Bar Harbor to the carriage roads. It’s only about 0.5 miles from the bike shop to the entrance of the carriage trails but it is all uphill and a gasper at that. ‘Course we didn’t realize that until we biked up that hill. We made it huffing and gasping to the carriage roads and biked around Eagle Lake, a 6-mile loop with pretty views of the lake and forests. There are a lot of intersections to various other carriage roads so if you have the interest and stamina (we had the interest not the stamina), there is a lot of other areas to explore. Since we spent the day before on a hike, the loop around Eagle Lake was more than enough for us to handle for one day. In my whiny defense, the loop is not completely flat, there are some tough hills to conquer, and my biking muscles are not as well honed as my hiking muscles (ie my hiking muscles have been beaten into submission, my biking muscles are still quite vocal about their abuse). So after completing the Eagle Lake loop, we headed back to the bike shop (all downhill, yay!) and treated ourselves with lobster & burger (guess who got what) and a non-lobster flavored ice cream cone. One evening, we also follow the mass of humanity up to Cadillac summit to watch the sunset. We briefly discussed catching the sunrise but broke into hysterical laughter at the thought of waking up at 3:30am. 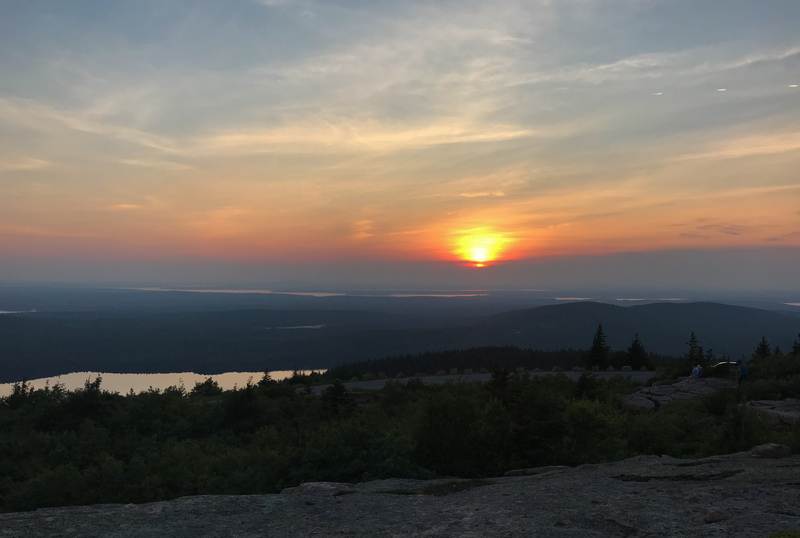 Many folks recommend watching the sunset from Blue Hill Overlook which is located shortly before the summit. Blue Hill overlook faces west while the summit area faces east (better for sunrise views). By the time we got there, the parking lots for the summit and Blue Hill were full so we backtracked and still found a nice area facing west to watch the sunset. It is a beautiful sight and I bet the sunrise must be amazing. If you plan to watch either, just make sure you get to the mountain early to snag parking. The Island Explorer bus does not go up Cadillac Mountain. 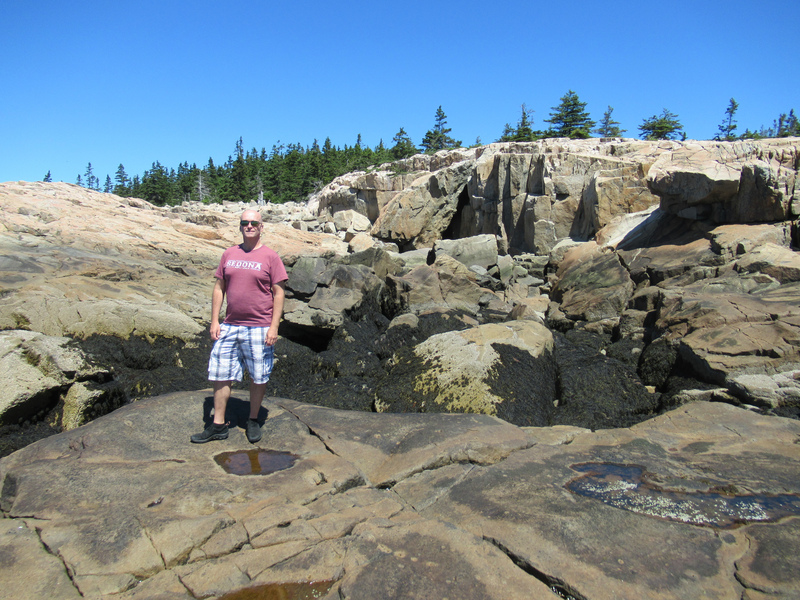 After 9 very fast days on MDI, we traveled back off the island and over to the Schoodic Penninsula. 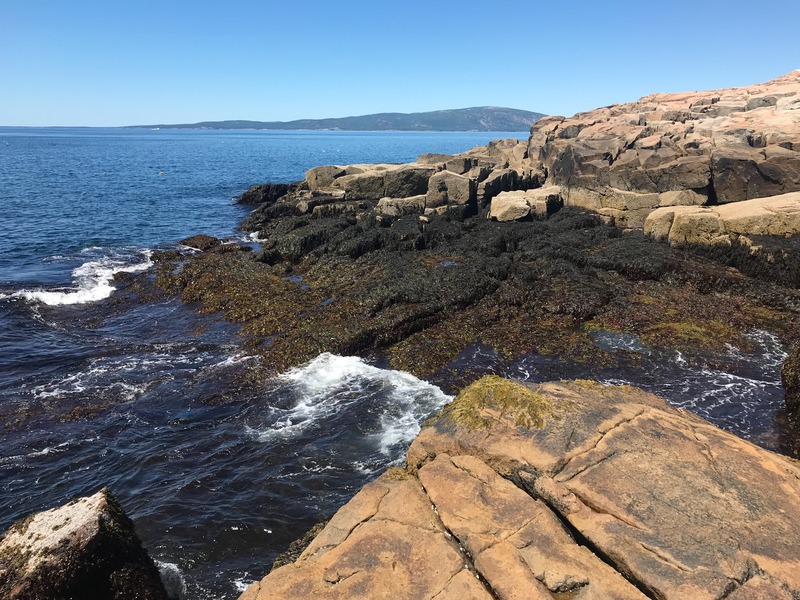 As a much smaller part of Acadia, Schoodic Pennisula only gets a few visitors which makes for a more peaceful visit. In 2015, NPS opened a campground right inside Schoodic Woods and Mike was able to snag a nice spot for a week here. It has electric and water but no sewer. Usually that’s not an issue for us since we use the campground showers but oddly the campground does not have any showers available. The campground supplies a list of local businesses that provide showers for a fee, but thankfully our 100-gallon grey holding tank and navy showers made it easy for us to make it for a week without dumping our tanks until the end of our visit. The sites are large and separated by lots of vegetation so there’s a nice feeling of privacy in each site. Carriage roads and hiking paths crisscross the campground and the ubiquitous Island Explorer bus is available here too. Traveling the East Coast, we’ve had to be wary of ticks everywhere we go. 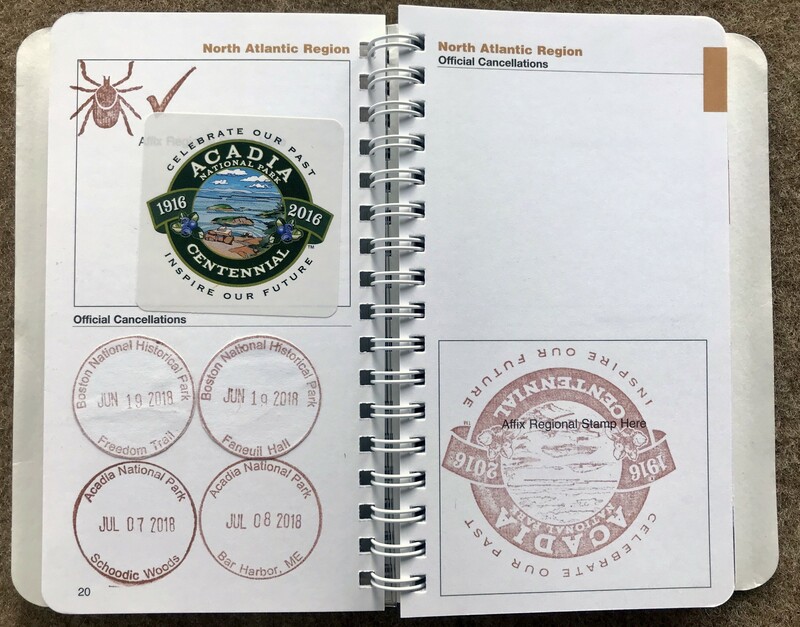 Acadia was not an exception but it was the first place that seemed almost proud of its tick population as one of the NPS passport stamps is the tick! Either that or someone has a rather skewed sense of humor. We drove the 6-mile one-way loop around the peninsula and enjoyed the views of the coastline. This would be a fabulous bike ride as the one-way loop has two lanes so bikers don’t have to fear for their lives. A friend recommended the Pickled Wrinkle restaurant which serves pickled wrinkles (pickled sea snails). I was (mostly) willing to try the wrinkles but they were unavailable making my decision a lot easier to get the seafood stew instead. We also discovered Chase restaurant with cheap but good eats that many locals seem to patronize. I really liked their Lobster BLT there. After a little over two weeks in Acadia, I do believe I have successfully over-lobstered but it was totally worth it! 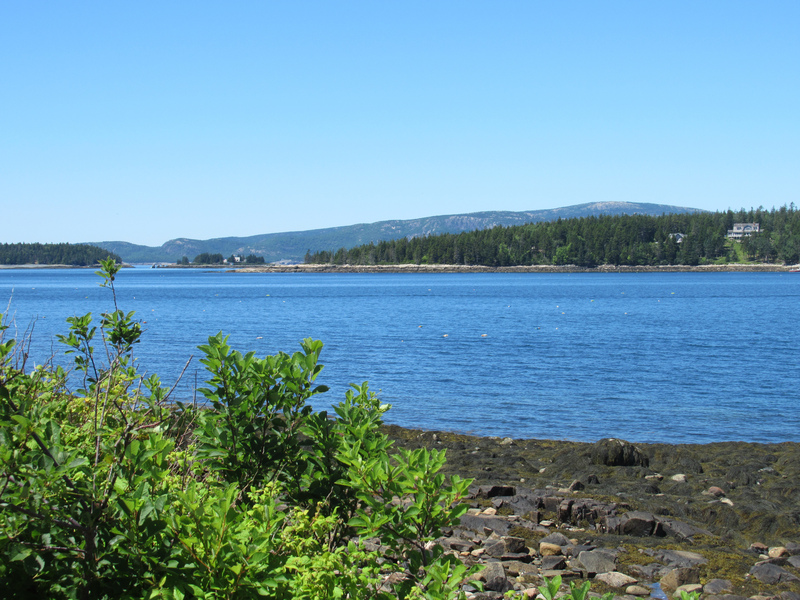 We are just behind you in our travel itinerary….after we leave Boston, we’ll be at Acadia for 3 weeks! This post is so helpful!! That’s very cool! I always love finding other blogs that can help me plan my trips. Hopefully this will give some ideas of things to do in Acadia. I wasn’t kidding though, there is SO much there to do! I would say to either visit Acadia early in the morning or late in the afternoon to avoid most of the crowd though. Otherwise have a fabulous time! Oh, I peeked at your blog and found that you follow See Cindy Sew, she’s a friend of mine, what a small world! We just left Acadia, in Weare, NH now (near Manchester), where are you guys off to next? How did you enjoy Acadia? Did you do MDI, Schoonic or both? We decided to keep going north, so we’re spending the next 3 weeks in Canada visiting New Brunswick and Nova Scotia. It’s our first time in Canada so we’re enjoying it so far. How’s NH? Hopefully the heat wave has finally cooled off a bit? 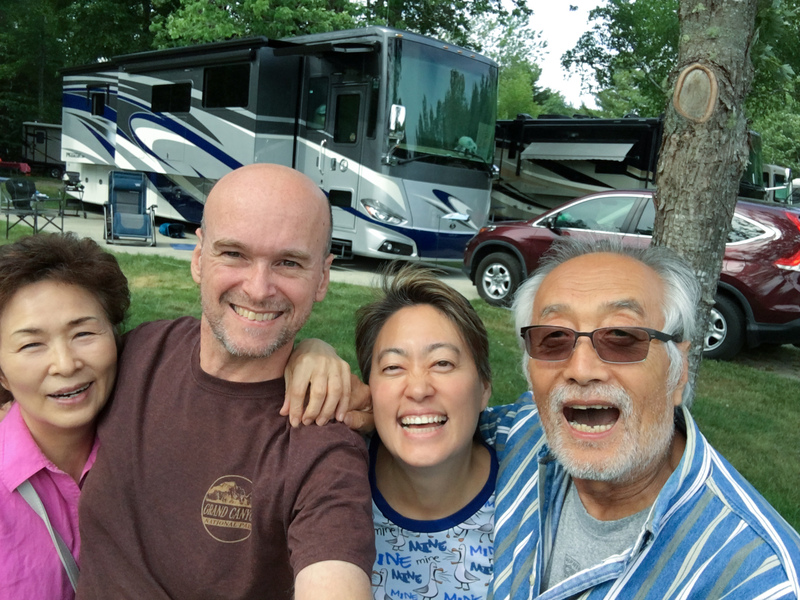 We met you three years ago at Crater Lake–we were not RV-ing at the time. 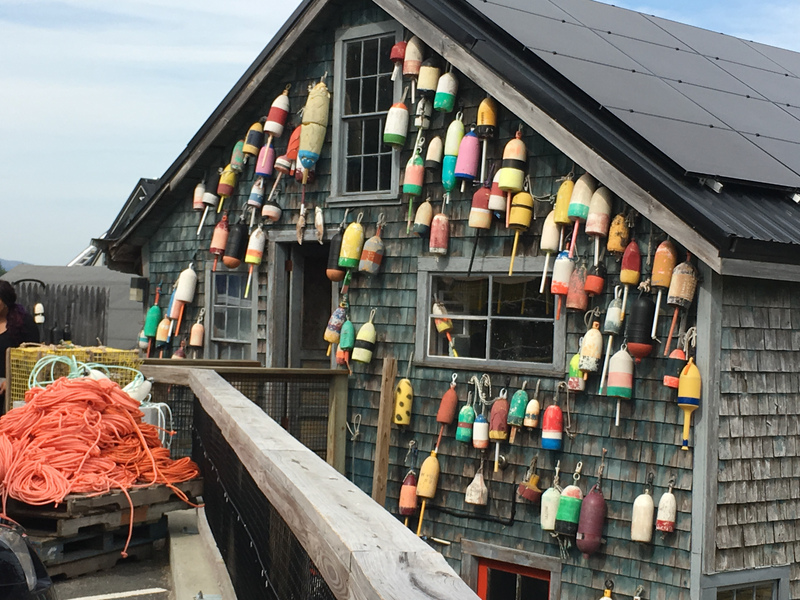 We live here in Maine (Freeport–did you stop by LL Bean?) 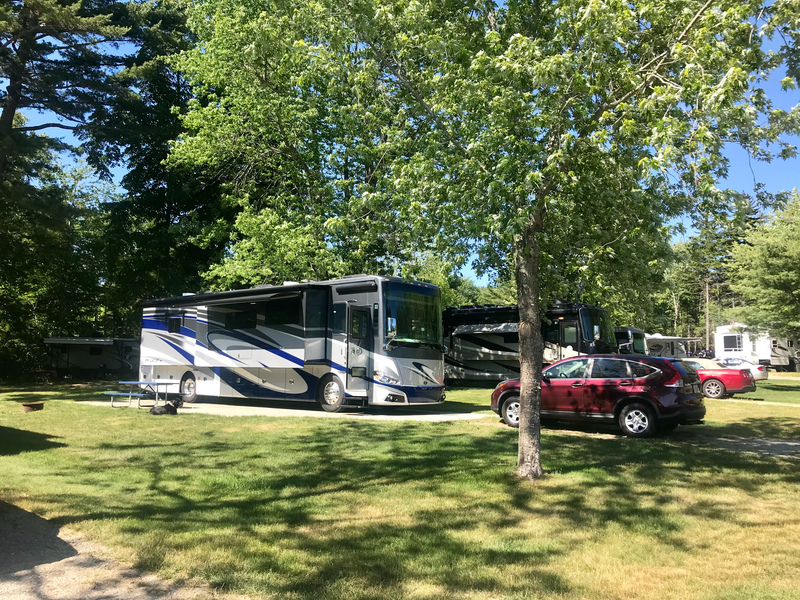 and stayed a few nights last summer at the Bar Harbor Family Campground–great place but they don’t take reservations. We went in late June, which is still off-season around here. One further suggestion–if you are not the get up and out early type, wait until late afternoon to do the popular things. And if you are not afraid of heights, climb the Beehive Trail. I only froze once when we did it. :-). I do remember you! During our conversation didn’t we talk about black labs too? I think we must have passed right near you on the way to Acadia. We didn’t stop by LL Bean but they are a huge sponsor of the free bus around Acadia. A lot of folks recommended Beehive but we didn’t get a chance to hike it. Mostly because Opie needed his hiking in and Beehive doesn’t allow dogs. I would love to go back to Acadia though and hike Beehive and a few other trails we missed this time around. What does this mean? 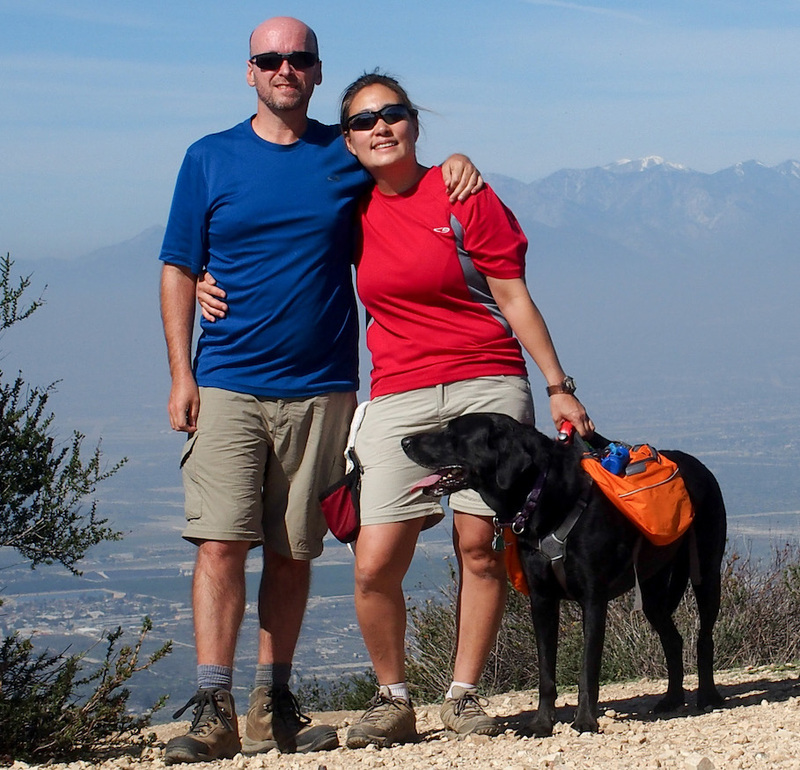 “Traveling the East Coast, we’ve had to be wary of ticks everywhere we go”. Is this because of hiking through forests? We have yet to encounter any…well, except for the area around Monticello years ago. We’re headed to Acadia too in about 3 weeks. We’ve spent the last 4 years traveling mostly around the west and southwest so ticks are mostly unheard of, and we only head back to the East Coast when the ticks go into hibernation so we’ve been lucky to avoid them. 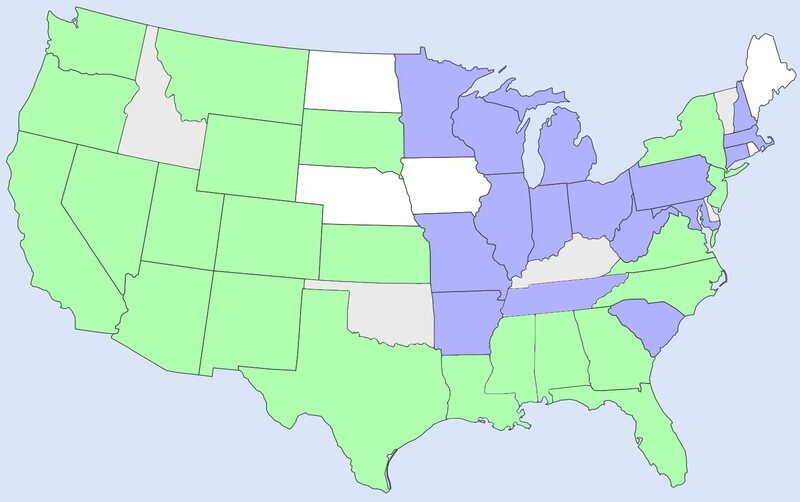 Since we’ve been traveling the east coast this year, the ticks we’ve run into have been pretty awful. I’m assuming between the forests, tall grasses, humidity, and warmth the ticks are having a blast and we’re not used to having to do a full-body tick search every time we end up in tall grass. I have to say the flea/tick collar that Opie uses has been fantastic so far though. It’s crazy to me that 49,000 acres is considered small compared to most national parks size. I guess I just never realized how large some parks are. I’m in Texas and around here 1000 acres of un broken up private land is considered pretty vast. But I cannot imagine setting myself lose on 49,000+ acres. I can get lost on just 100 acres. In Acadia are there any riding trails for off-road vehicles? And if there is are their any ATV or Side by Side vehicle rental places around? Great pics as usual, I’ve been following your blog for about a year. Please keep it up! True, it is insane that 49k is small but Acadia sure does pack in a lot of beauty in that small space. Most of Acadia is hiking/biking friendly but I don’t believe there is a lot of options for atv/off road vehicles there. I don’t think we saw any off-road vehicles while we were in the area either. We are planning our trip to the east coast right now. I really appreciate all of the information and suggestions.